Our percussion sample chip trays are manufactured to the highest industry standards for the storage and transportation of percussion or RC drill chip samples. The chip trays are made using UV stabiliser with a high grade polypropylene, which means a greater longevity whether stored in or outdoors. 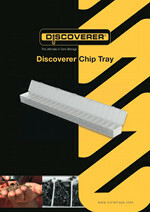 Suitable for holding RC or percussion drill chip specimens or even small rock samples. Total Size is 500x50x35mm with a weight of 155gms each. 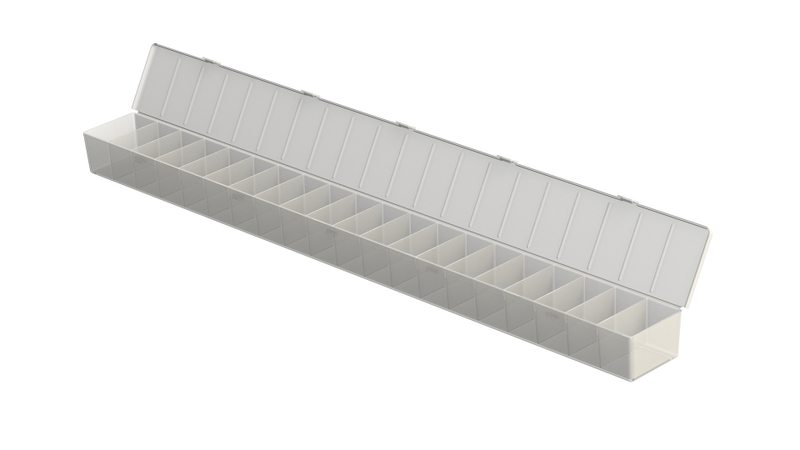 Total number of compartments is 20 measuring 25mm each. Manufactured using a one piece mold with attached lid with 5 secure clips ensuring no samples go astray.